Necessity is the mother of invention. I’ve talked about that quite a bit. I like referring to the Dr. Seuss legend of the fifty word challenge. I’ve gone off on the idea that a blank page is not your friend. I usually don’t offer any practical advice here but I thought what the heck. I have this exercise I want to go through. Here we go. What if you could just change one thing in the next three months to your organization or team? You can’t change anything else for the next three months. Nothing. If you said to yourself, “THIS has got to change,” what would that be? Think about it. What if it had to be something that over half the people on the team or in the organization do? So it has to be somewhat common. No taking care of big exceptions or one offs. Ain’t nobody got time for that. What might that be? Ponder on that. Hold on. What if that one thing had to be an everyday occurrence? It could happen once or it could happen twenty times a day. No changing some KPI or end of month report. Think about it. Nope, not yet. What if that thing had to take less than five minutes? So we are talking a relatively small task. It might have great significance but it doesn’t have to. Obviously it’s something that needs to be done. What would it be? Hmmm. OK, one last thing. What if you could only change one step in the process or the situation? No re-engineering the whole thing, no sweeping changes, no week long brainstorming event. One step in the process. What would it be? Done pondering? What might that change be? Is it different than what you may have first pondered? Maybe you ended up somewhere you didn’t expect. Perhaps you painted yourself into a corner. There is no right answer. The idea is that you were forced to make choices. You had to think about the limitations. Which is good because despite all our theories and methods, there are always limitations. Learn to make them work for you. Learn to find the creativity born out of necessity. It’s a skill. Even if it’s just an exercise to stretch your mind, the above example illustrates that innovation is not always of the pie in the sky variety. Sometimes it’s hiding in plain sight. 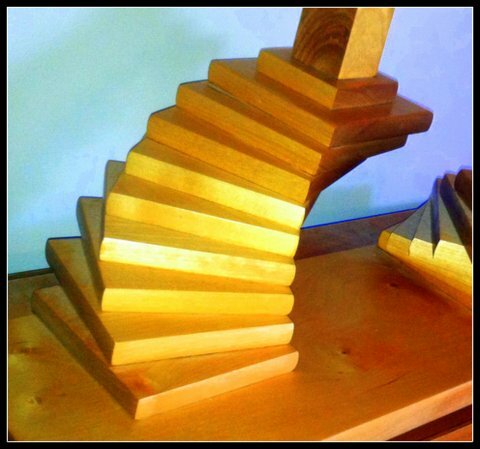 Sometimes you get there step by step by step. Now try it again. Would you start in the same place? Will you end up in the same place? Where do we find inspiration for innovation? Where do new ideas come from when you’ve become so expert in your discipline that everything around you is familiar? You’ve seen it all. Your massive weight of experience is actually holding you back. Granted there are lucky few who can look through the experience around them to see new horizons. But where do the rest of us look? Indeed, where do we look? One option is to leave your discipline. Go on a walk about, you might say. If I’m trying to inspire myself within change and organizational management, I need to leave them. It’s like thinking outside the box but instead you are intentionally going to another box. See, the problem I have with the thinking outside the box metaphor is that you are basically asking if you could do anything different what would it be. That’s just a paralyzing question. You may as well stick your hand into a box of ideas and pick one out at random. So no, we instead need to go to another discipline’s box. First, this is good because different disciplines inherently think in different ways that you do even if not particularly innovative within their own box, though innovative thinking is a bonus. Second, this places limitations on what you’re going to be looking at. Allows the dialog to be specific. And because it is limited you are forced to think creatively about how their thought processes and innovations intersect with your world. So here’s an example of looking in someone else’s box. I chose to look inside the discipline of Biology. I chose biology because I don’t know anything about biology. My knowledge of biology stopped when I was in middle school and we had to dissect a frog and I passed out. So this should be new ground for me. So I did a search for innovation in biology. I came across many articles. Most of which I didn’t have the biology knowledge to understand. But finally came across a shorter article that was approachable. The essence of the article is that with the help of new tools biologists are able to look at bacterial colonies in more detail and specifically at the cell level to identify different environmental impacts and such. As the colony ages cells adapt to rising levels in toxins and decreasing nutrients, adapting and evolving to the changing environment. So how can this help me think about organizational change? Let’s say the cells on the bottom near the source are the line workers and the nutrients are the knowledge gained at the operational level. Let’s say the cells on top are management and the oxygen is the ability to see beyond the daily grind. The first and not particularly new thought was that in order to have better access do we strive for a thin organization where oxygen and nutrients are, if not equal, more available to the all? Would a thinner organization minimize unwanted mutations (like attitudes, processes, sub-cultures)? Would an organization be healthier while thinner because it would be easier to identify and remove toxins? Something to think about. My next thought was yes, it would be great to thin an organization’s hierarchy out, but in larger companies a wholesale reorganization of that type would be a major shakeup and could take years. What other options do we have? Well, since we think having access to both nutrition and oxygen are important for a healthy cell and overall organization, do we force oxygen down into the bottom layers? Do we force nutrition up to the top? Sounds logical. So we need to create channels or mechanisms for this to happen. We could try a couple things. We could send managers to the floor to observe and interact and do as much hands on work as is feasible. Not for a few hours not for a day. But like a week or more. You need time to see it. Why? Because higher up we forget or never knew what it was like to work at the source, on the line. Things evolve so any being removed a few years can leave us blind to the current environment and culture. We get perspective. We get nutrients coming right form the source. Oh, this is what it’s really like to work in my company. Might be eye opening. 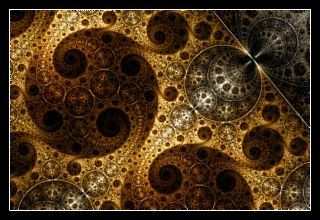 We get to see how life has evolved and adapted, for good and for bad. So now the oxygen rich cells have access to the nutrients below. 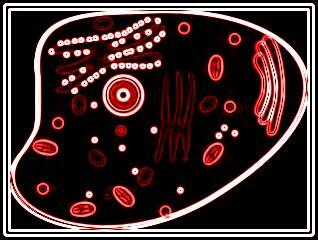 And what about the cells near the source, near the nutrients. Send line supervisors to planning and strategy and decision making meetings. Ask questions back and forth. Learn to see that the strategic and the tactical have to work together. And what if we put in elevators so that oxygen and nutrients could flow more strongly from top to bottom and bottom to top. Communication that is making sure the right information is flowing back and forth. We all know we need to communicate but what is the right information? Well, that’s what you learn when the top is embedded in the bottom and the bottom is embedded in the top. I could keep going but you get the point. 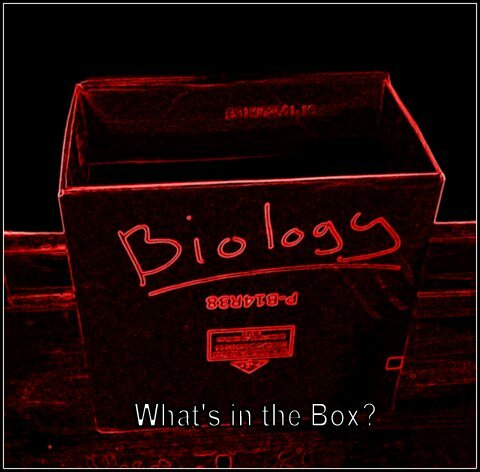 Looking inside biology’s box allowed me to think about change from a different angle. If I keep digging deeper and start bouncing these ideas off my colleagues maybe we find some insights. Maybe we don’t, but we keep looking, we keep infusing different attitudes and ideas into our discipline. Maybe there is inspiration in the physics box or the logistics box or the Dr. Seuss box. Oh, the places you’ll go. You should go take a look. As a change agent, I should be told to fail. 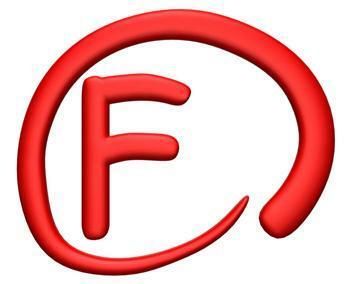 In fact anyone doing improvement work should be told to fail. Well, not exactly told to fail. I should be told that I should be pushing the envelope far enough to fail regularly. If I am always succeeding, then I am not risking enough. Real innovation requires risks. We hear this all the time from the innovation gurus. Real change requires real risk. Yet we don’t tolerate failure very well, do we? In fact how often are projects scaled back to avoid failure? And how often are the things that get scaled out of the project the most aggressive and most innovative pieces? It’s because perception of success (or rather completion of a project) is more important than real change, real progress. How do we get out of this mentality? How do we break free? Perhaps we need to begin by acknowledging that change and risk are linked closely together. And since people perceive change as risk no matter what, you may as well build in enough risk to make real change. Otherwise you are just introducing stress with little chance of impactful change. So leaders need to embrace failure as a positive possibility. And then need to let their people know this. Of course this means knowing the difference between failure caused by risk taking and failure caused by incompetence. You improve your chances of knowing the difference when you understand the vision and the processes being executed. I know that’s asking a lot. But you can start small. Be aggressive on small projects where the cost of failure is manageable. Learn to fail well. It’s like learning to lose well. And remember that you can often learn far more in losing than in winning. Think of it as research and development instead of success and failure. In development you expect that you will develop things that don’t work. You tweak your way to a good result. This isn’t some new concept. It’s the concept of being OK with failures that is missing. It’s a mentality and an attitude, not a process, that needs your love.